Should we ban celebrity endorsement of junk food? The ninth report on the consumer protection Bill, aimed at replacing the current Consumer Protection Act, 1986, was presented in Lok Sabha last week. No objections were raised against the 2015 Bill as per the committee report. But different views on issues such as definitions, misleading advertisements, adulteration of products for human consumption and jurisdiction of Central Consumer Protection Authority were expressed by stakeholders. The committee recommended passing of the Bill, observing that misleading celebrity endorsement of food needs to be taken seriously, considering the influence of celebrities and high net worth individuals or companies on masses. Since the enactment of Consumer Protection Act, 1986, consumer markets for goods and services have undergone profound transformation, giving rise to complex products and services and providing new opportunities for consumers. This has made consumers more vulnerable to new forms of unfair trade practices. Misleading advertisements, marketing and selling pose new challenges that need appropriate interventions for consumer protection. The consumer protection Bill provides recommendations and suggestions that can modernise the existing Act to address constantly emerging consumer vulnerabilities. The Act has been amended thrice in the past—in 1991, 1993 and 2002—based on the experience gained from implementation of the regulation. Since existing legislation is not enough of a deterrent, the committee recommended stringent measures to tackle misleading advertisements and fix liability on endorsers or celebrities. The committee has recommended a penalty of Rs 10 lakh and imprisonment of up to two years or both for the first offence. For the second offence, a fine of Rs 50 lakh and imprisonment for five years has been recommended. For subsequent offences, the penalties increase proportionally based on the sales volume of such products. Imposing such penalty is not enough since impact has already been created when such advertisements are broadcast. Endorsers or celebrities may not always be aware of the negative health consequences of the foods among consumers, especially children who form the most vulnerable group. In a way, this is also cheating the consumers based on their trust in the image of the celebrity or endorser as a role model. Aggressive marketing and promotion strategies adopted by the industry have been proved to impact the buying behaviour of consumers. After viewing TV commercials where celebrities such as actors and sportspersons endorse a product, people tend to recall the messages while purchasing the products. This can greatly impact their food choice, especially of children who are not the best judges of their dietary choices. Considering celebrities as their role models, they believe what is portrayed in the advertisements is real. There are several food products such as biscuits, frozen foods, sugar-sweetened beverages and instant noodles that are endorsed by famous actors, such as Mc Vities by Bipasha Basu, Mc Cain by Karishma Kapoor, Pepsi by Ranbir Kapoor and Nestle’s Maggi Noodles by Madhuri Dixit. Some of these are also often positioned as healthy food alternatives. People tend to see only the positives highlighted in the advertisements and not the potential negative impacts. 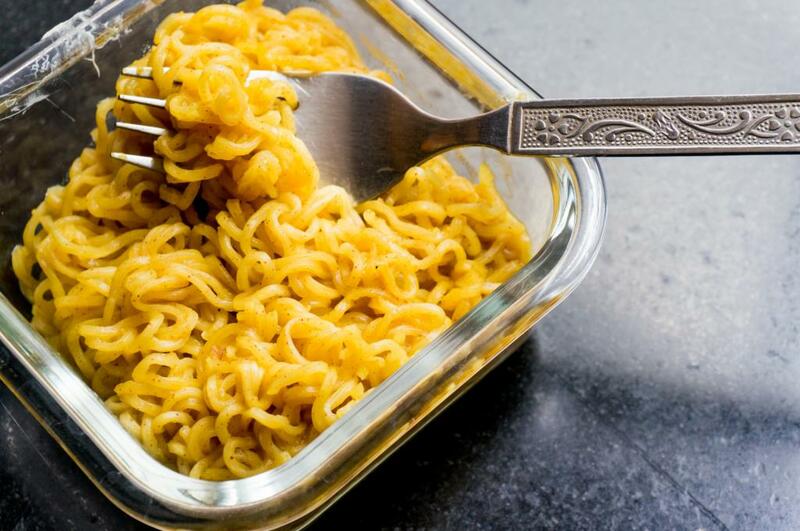 For example, Maggi Atta Noodles were advertised as a whole grain food with real vegetables. Nowhere was it mentioned that instant noodles have high salt and fat content. A better way to deal with such situations is to ban celebrity endorsements completely. This would address the issue of misleading food advertisements and also act as a key public health intervention to prevent increasing risks of non-communicable diseases in India. Internationally, several countries have made regulations related to advertisements of unhealthy foods targeted at children such as Canada (Quebec), Sweden, the UK, Belgium, Estonia, France, Ireland, Hungary, Chile, Mexico, Iran and South Korea. Countries like UK, Ireland and Belgium specifically ban celebrity endorsement of unhealthy foods. The impact of such restrictions has been reported to be significant. In the UK, restrictions on TV advertising of food and drinks were implemented in 2006. Research shows that by 2009, children in the UK were exposed to 37 per cent fewer advertisements that promoted foods high in fats, sugars or salt as compared to 2005.